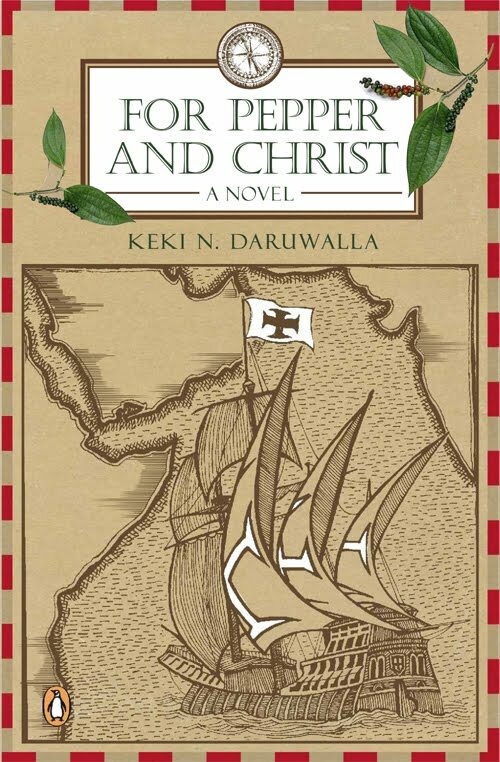 For Pepper and Christ, a novel written by the eminent poet and former IPS officer, Keki N. Daruwalla, covers a vast canvas running from Lisbon to Cairo to Mozambique and Milind now known as Malindi) to Calicut. 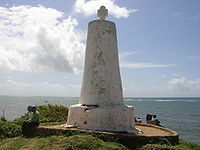 The storyline is the epic journey of Vasco da Gama in search of pepper and the fabled Christian king of the East, Prester John. Three voices tell the story - that of Brother Figueiro, a member of da Gama's fleet, Taufiq, the young disciple of the legendary Ibn Majid who guides the Portuguese fleet from Milind to Calicut and the 'obtrusive narrator' (as the author himself describes) who covers the Cairo portion of the story, rather ponderously. We deal here with the Calicut portion of the story which starts with da Gama meeting Ibn Majid who entrusts him with the young pilot, Taufiq, before imploring Gama: 'Everybody robs India. Be frugal in your thefts'. 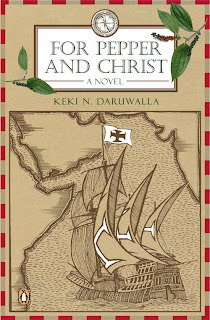 Taufiq leads the fleet to the coast off Kappad (Capua) and the rest of the story follows closely recorded history.The fictional part involves two strands - the tragic romance of Chirukandan, one of the Zamorin's ministers and Taufiq's dalliance with a young Muslim girl in Calicut. Unfortunately, both the sub plots fail to give local flavour of Calicut in the 15th Century. One can understand the limitation of the author, as there is not much vernacular source on the social history of Calicut. He appears to have depended mainly on Western sources (judging from the acknowledgements) and these sources have their limitations in terms of understanding and describing local milieu. What is outstanding about the book is the sheer poetry of Daruwalla's prose : Taufiq's thoughts -...beyond all this is the sea: shell-encrusted sand, the roar of the high tide, the backwash, the undertow scrambling to pull back the lace, which the tide has left on the beach....The sea demands passion. The novel's poetic ending deserves to be quoted: A certain Clive would have won a battle and yet been impeached, and Burke and Sheridan would have thundered against Hastings all the same, whether a Taufiq had guided one Vasco across the seas or no. There's something inexorable about history - also about gunpowder and gunboats. "There's something inexorable about history". Very true. Thanks. "There's something inexorable about history also about gun powder and gunboats" also about local romance-Taufiq's dalliance with a young Muslim girl in Calicut-another Muslim girl, not for the white man fortunately, but for Taufiq. Taufiq's dalliance with a young Muslim girl in Calicut. Fortunately that was not a white man with a Muslim girl as in the previous case. Mr.Daruwalla and the plot here seems to be really interesting -From Lisbon to Calicut. i read the book a year back and while the concept was good, did not quite find the richness and depth when the characters reached calicut. the research done on that part seemed inadequate..but the arab areas were better explored.